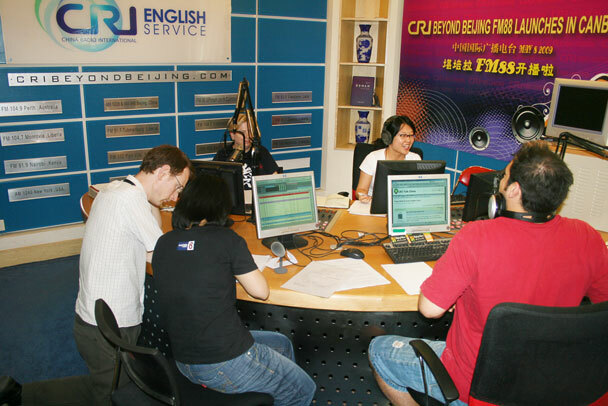 In Brief: Photos from our visit to the China Radio International studio, and links to replay the broadcast. 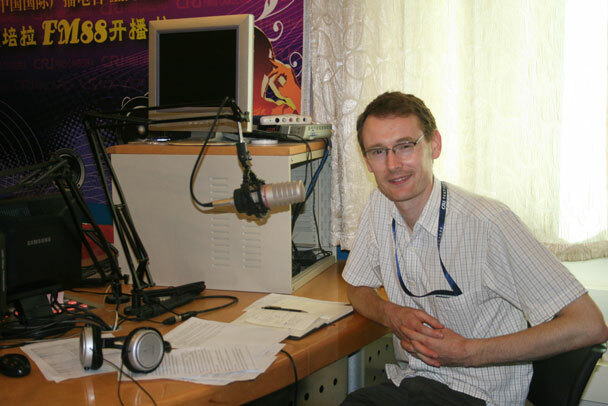 On July 29, 2009, we headed out to the China Radio International studios in Shijingshan for a live interview on the Beijing Beyond programme. Huijie talked with hosts Julianne and Peter about the Beijing Hikers club and hiking around Beijing. Also present was CRI correspondent Dominic Swire, who had been hiking with us a few times and shared his experiences. During the interview Huijie talked about how we organise hikes, scouting trips, and other explorations of the Beijing area. We also talked about the early days and told interesting stories related to incidents that had transpired since the founding of Beijing Hikers back in 2001. A few days after the interview Huijie received a phone call from her sister Huilin, the founder of Beijing Hikers, who called to tell her that her friend in Australia had heard the radio program on an Australian broadcast and was very impressed. 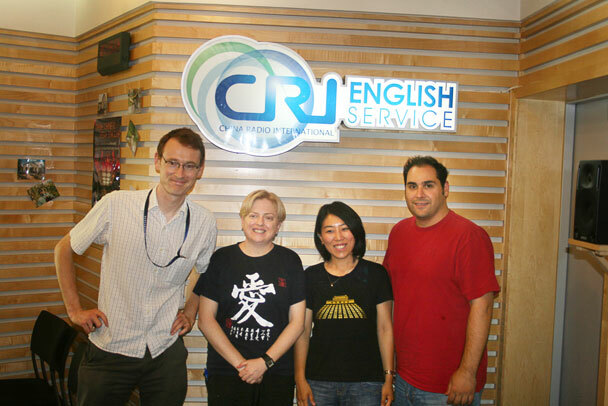 Big thanks to Dominic and CRI for inviting us to talk about Beijing Hikers – a good way to let people know about what there is to do in Beijing! The CRI website has an archive of the interview, as well as some of Dominic's other recordings. Follow the links to the CRI website and have a listen – all very interesting! 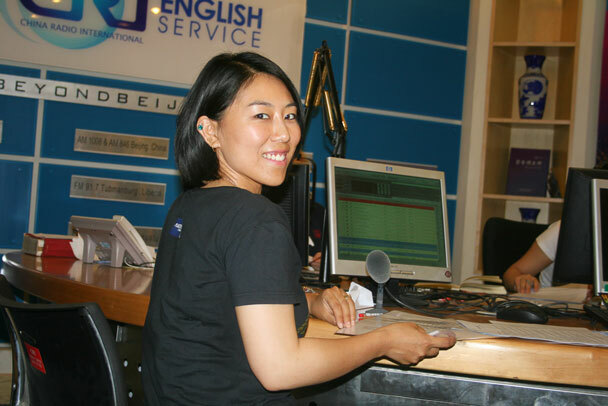 Visit the CRI website to listen to Huijie's interview. Visit the CRI website to listen to the field report. If you live in Beijing, you can tune into Beijing Beyond on 91.5FM. They have more information on their webpage on the CRI site, Beyond Beijing. First everyone went over the plan for the interview. Huijie with the radio hosts and producer. Huijie at the talk show desk. 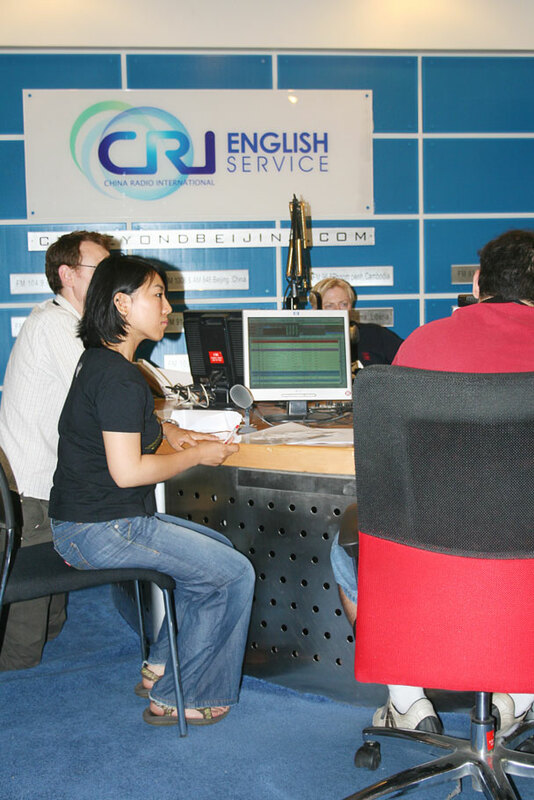 Huijie and the hosts of the radio show.